"...a playful Melissa WolfKlain...has grit, is a gifted actress as well as a hard-working dancer and singer. Her rendition of the title song “Cabaret” was one of several big crowd-pleasers on opening night." "Melissa WolfKlain brings to her Sally Bowles aspects of earlier, more society sophisticated, perky and flirty Sallies...but to that she [adds] a grittiness and vulnerability seen in later revival versions of Sally...Sally's naughtiness is both tongue in cheek and brightly frisky as she clicks off lines in an overall upbeat voice in 'Don't Tell Mama'...But her voice lowers into deeper, more guttural dimensions and the pace quickens into near frenzy as her defiance and survival-seeking stubbornness is angrily asserted in 'Mein Herr'...While both songs are about her love life, the moods, looks, and intonations Ms. WolfKlain employs in each song paint a picture of something dire on the horizon for not just her, but for all the society around her...But it is in her closing 'Cabaret,' trumpeting with beautiful clarity and in ever-increasing volume...Her stand to ignore the upcoming doom and continue to live a carefree life is fraught with fatal denial of reality, something we hear in a voice that sounds less than triumphant even with all its bravado. Overall, Ms. WolfKlain has captured her own, unique portrayal of Sally Bowles—one worth the price of the ticket to see." "Melissa WolfKlain is a charming, cocky Peter..."
"This production has a superlative talent in Melissa WolfKlain, a Bay Area native returning from New York to perform on the mountain. 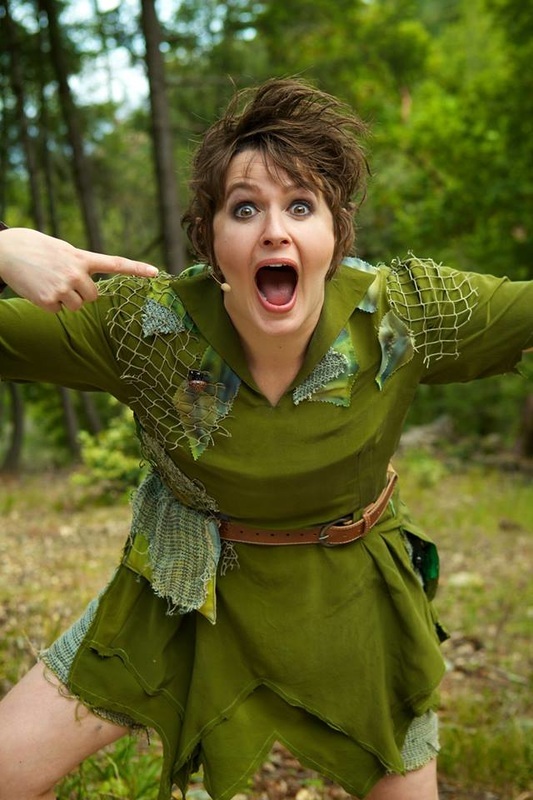 WolfKlain’s delightful voice is joined by another impressive local talent..."
"Melissa WolfKlain (Peter Pan) sings and dances with an exuberant energy that seems to have an infectious effect on her fellow performers." 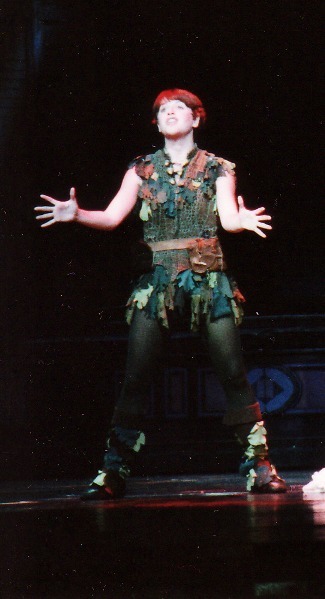 "As Peter, Melissa WolfKlain displays a strong singing voice and a nicely boyish sense of rough-and-tumble confidence, making it obvious why Wendy (Erin Ashe) and her brothers John and Michael (Jeremy Kaplan, Claire Lentz) would leave the safety of their beds and follow him to Neverland." "Fabulous 'Funny Girl' staged at Hillbarn with the brightest star shining brightly as Fanny Brice...Go see Melissa WolfKlain as Fanny Brice in 'Funny Girl' at Hillbarn Theatre...WolfKlain is brilliant and thoroughly entertaining in the role...Think about what it is like for an actor to carry a two hour show where she is on stage almost all the time, has more than a dozen major songs to sing, significant jokes and heavy drama to carry, and, must tap-dance. And, she is playing the great Vaudevillian Fanny Brice. There must be a thousand decisions she has to make in the course of the show — smile here, show sadness there, mug like a goof in this bit — and WolfKlain does all the right things throughout the show, bringing this fictionalized story of the famous vaudevillian and star of screen and radio to life with wit, charm and humanity. It is fascinating to watch her bravura performance...WolfKlain is hilarious in the role, and sings beautifully. 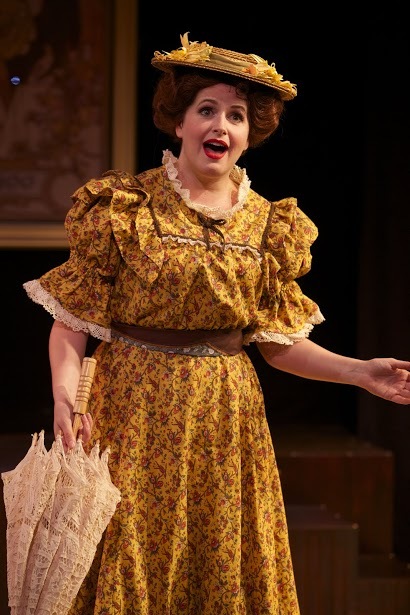 "Melissa WolfKlain takes on that daunting role and does it more than ample justice with her terrific singing, acting, dancing and comic timing." "...the show is deftly directed by Dan Demers. He wisely has not attempted to mimic the shenanigans or voice intonations of Fanny Brice but allowed Melissa WolfKLain to create a unique, nuanced and believable performance. It helps that she is a real pro with excellent stage presence and tremendous singing voice." "I love Barbra Streisand so I was crossing my fingers that this would be a good production and I wasn't disappointed. 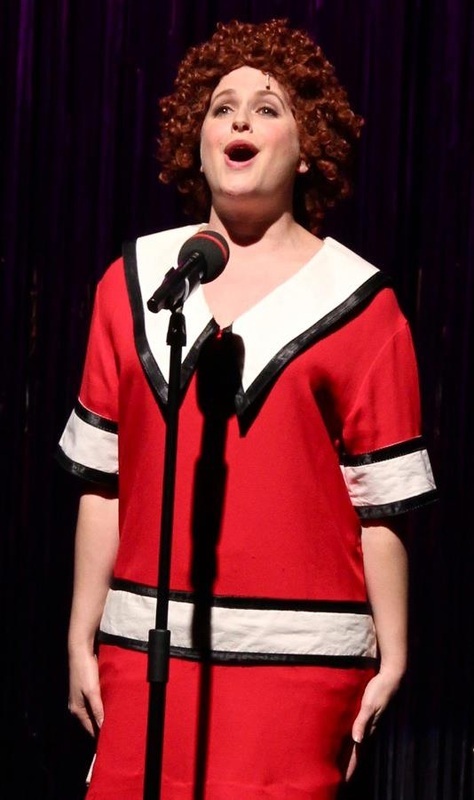 Equity actress Melissa WolfKlain was a marvelous Fanny, belting out the familiar melodies in true Streisand style, yet truly making the role her own through her acting...Melissa WolfKlain was so comical as Fanny Brice. I loved her in "You Are Woman, I am Man." Laugh out loud funny. She was all around great and kept it up throughout the show. I really thought she got to show her acting chops during the more serious scenes of the show." "WolfKlain has a powerful set of pipes but, though as Fanny she describes herself as "a bagel on a plate of onion roles," she's almost too attractive to make the audience believe she's not pretty and is only good at getting laughs on stage...WolfKlain capably handles the lion's share of the acting duties...The very best moments of 'Funny Girl' are when WolfKlain, as the needy little New York girl who everyone thinks is an ugly duckling, turns into a gifted (and sometimes-glamorous) star singing such tried-and-true favorites as 'People,' 'Sadie, Sadie (Married Lady),' 'Don't Rain on My Parade' and (with Giammona) 'You Are Woman, I Am Man.'" 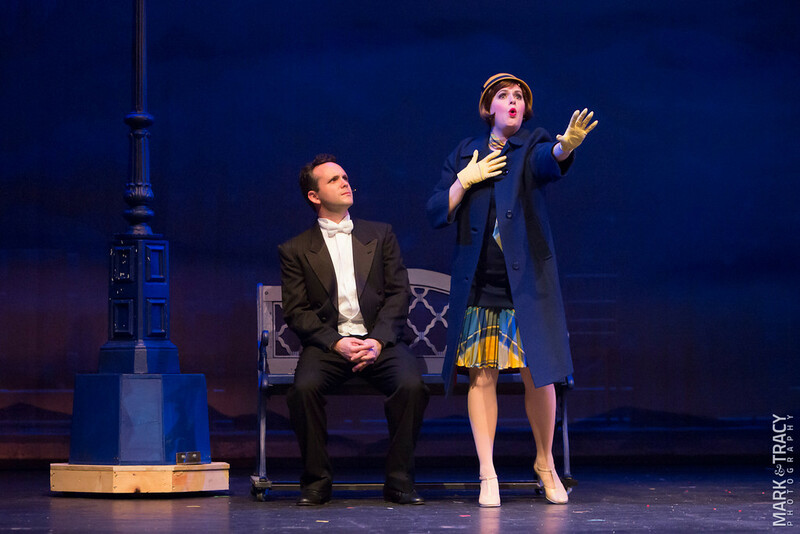 "As you might expect the role of Fanny Brice plays pretty pivotal in our enjoyment of this show and our funny girl gracing the stage in Foster City, won me over in a matter of minutes. She has good control of the comedy and absolutely owns the “show biz” vocals. Her swells and crescendos seemed absolutely effortless and she embodied the effervescence of the character whole-heartedly. She is charming, self-deprecating and charismatic and we are rooting for her the whole way through her journey, applauding her indomitable spirit, her authenticity and her passion for all things. This actress has the chops and then some, which given the marathon stamina and range required for this part, is no small achievement." "WolfKlain is an excellent song interpreter and a versatile, natural actor." "...a perfectly matched Lance Arthur Smith and Melissa WolfKlain steamed up the stage in a detached 1900s Vienna sort of way, somehow managing to preserve the heat in their morck relationship and deftly switching back to an upper crust, cooler approach when their true identities are revealed and reality sets in...Nimbly demonstrating her considerable bi-coastal thespian experience, WolfKlain met the challenge, swerving, deflecting, demurring, and then meeting Smith's challenge straight on. Both actors were equally impressive in belting out Barry Harman's inordinately clever lyrics and hoofing up a storm with Jill Gorrie's enticing footwork." "Both Melissa and Lance are great together...Each has naturalness and charmed air about them that draws you right in to their world. Both have a sly comedic side that enchants." "WolfKlain...plays Princess Fiona with such gusto and sass that it’s no wonder the comely redheaded royal could win an ogre’s heart. Add to that WolfKlain’s expert comedic and dance skills (particularly when tap-tap-tapping away with a stageful of human-sized rodent Rockettes) and you’ve got a leading lady who’d turn any rival green with envy." 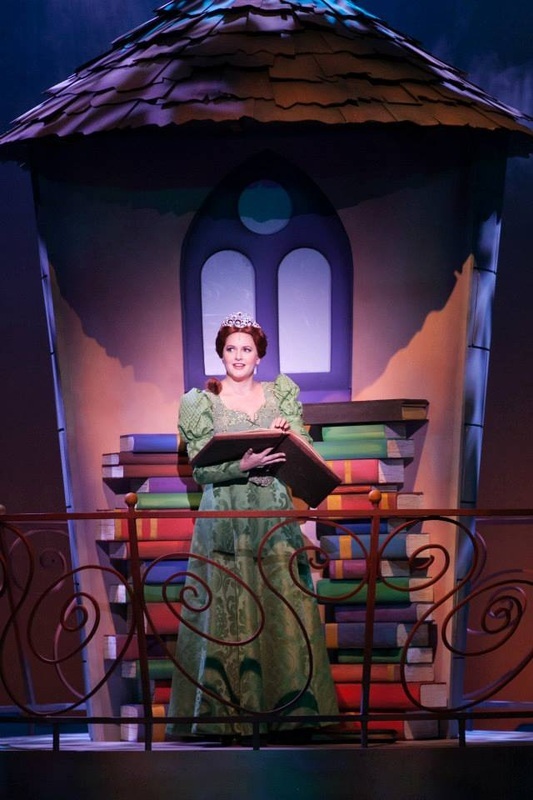 "Melissa WolfKlain as the feisty Princess Fiona, is pretty, spunky and where appropriate, touchingly vulnerable." 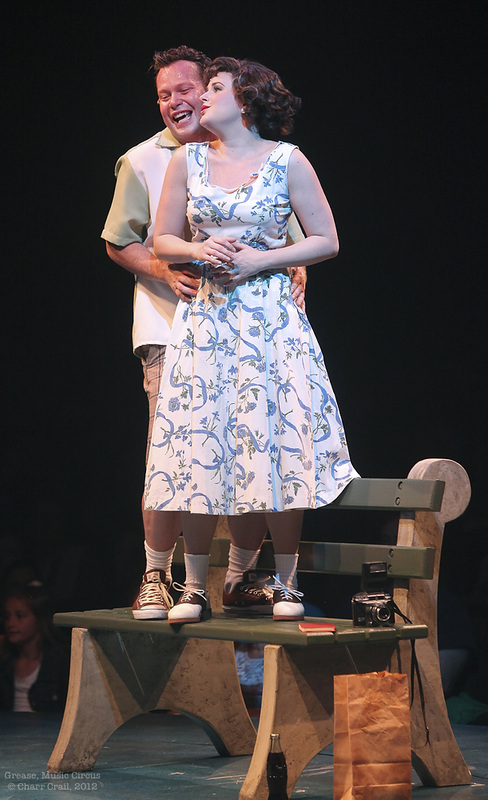 "Melissa WolfKlain is not only adorable, but also comically and vocally scrumptious as Fiona." "WolfKlain has a perfect Disney-princess voice and shines as a lovely young lady by day and a charmingly green lady ogre at night..."
"Melissa WolfKlain as Fiona gave us a Broadway caliber performance. She has star written all over her." "...the leads are spectacular...WolfKlain is a delight and would flat out steal the show..."
"...this is WolfKlain's first appearance at the Lesher, and with that knockout voice, I hope it will be the first of many." "Staci Arriaga's astonishing choreography, led by Melissa WolfKlain...is a perpetual delight...Melissa WolfKlain is perfect as Kathy and has beautiful vocal chops..."
"...four actors act out several mini stories, making regular quick costume changes and never failing to show off their fantastic vocal capabilities...And there are plenty of other uproarious sketches performed with enthusiasm and energy by [the cast], all too talented for just one to stand out. On a fairly bare stage with lighting and roll out set pieces to compensate, the four actors electrify the audience as they switch from character to character and easily make each individual unique, each more enchanting than the last." "...the 'fun' couple of the show proved to be Roger and Jan, with [Keven] Quillon and [Melissa] WolfKlain evoking my biggest laughs of the evening in their comic performance of 'Mooning.'" "The highlight of this production of 'Grease' came from the attention-grabbing performances of supporting cast members John Pinto, Jr (Doody), Keven Quillon (Roger) and Melissa WolfKlain (Jan)...Quillon and WolfKlain were equally compelling as Burger Palace Boy Roger and Pink Lady Jan...In the stage version, Roger and Jan have only a few more lines than in the movie, and sing in a couple more songs but, on this stage, Quillon and WolfKlain made every word and hand-jive and two-step count. They were enthusiastic in voice, energetic in movement and believable in their shared chemistry from beginning to end." 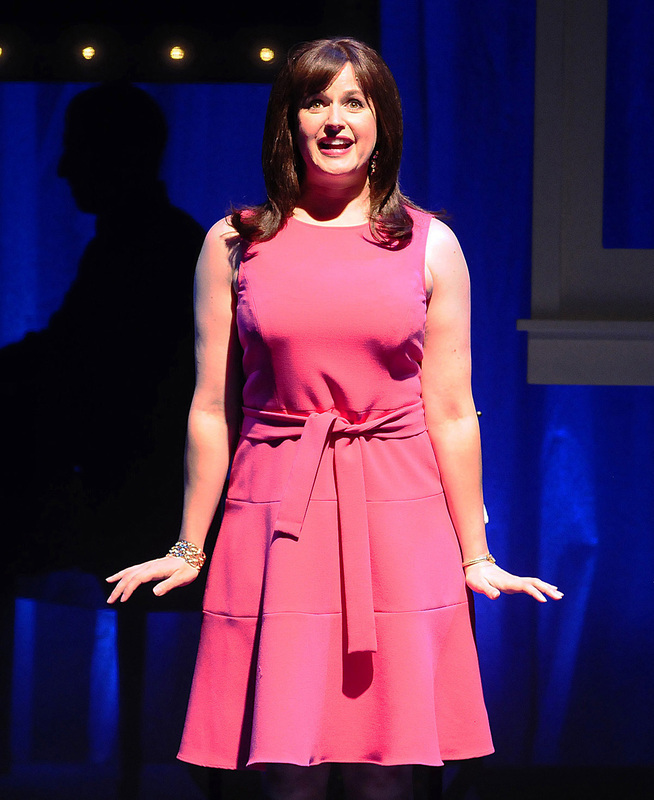 "Melissa WolfKlain made an impression as Jan, one of the Pink Ladies. Her winning smile and perky attitude were difficult to ignore whenever she was on stage." 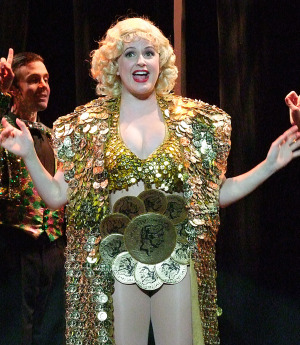 “Melissa WolfKlain gives a fine performance in the demanding role of Ginger, alternately sweet and sunny one moment, headstrong and businesslike the next...Another highlight in the show is “We’re in the Money” from 'Golddiggers of 1933' with WolfKlain flawlessly executing the song’s wacky Pig Latin chorus." “Consummate performers, WolfKlain and Walker, credibly fill the dance shoes of these legendary performers....The chemistry between Ferrer and WolfKlain is remarkable. WolfKlain has more than her share of riveting showstoppers, including 'Fascinatin' Rhythm' and 'But When.'" 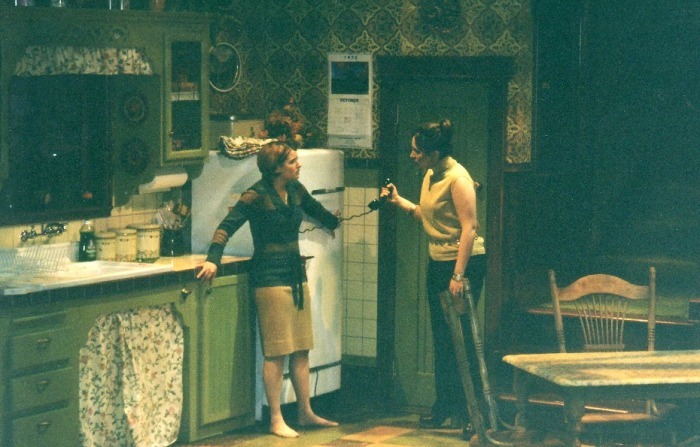 "Melissa WolfKlain is captivating as Millie. 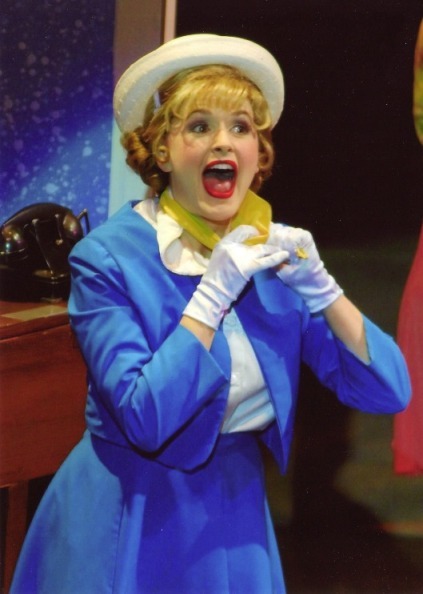 She is not only a terrific dancer but she belts out 'Not for the Life of Me,' 'Thoroughly Modern Millie' and 'Forget About the Boy,' but has sweet vocal chops on 'Jimmy.'" "WolfKlain [as Millie] is a tiny mite of a thing with a big set of pipes. [She captures] your heart with her disarming smile and gigantic voice." 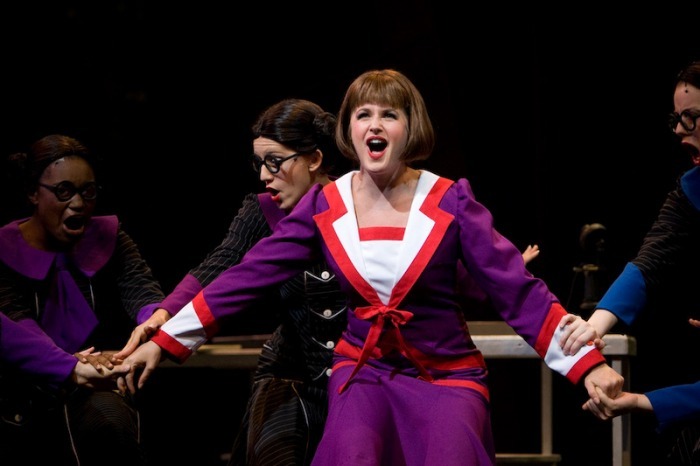 "[Thoroughly Modern Millie] is headed by the award-winning Melissa WolfKlain as Millie Dillmount. WolfKlain is the vocal embodiment of near-perfection with a snappy no-nonsense attitude that brooks no defacement, keeping the viewers entranced every moment. The girl is not to be trifled with in the talent department." 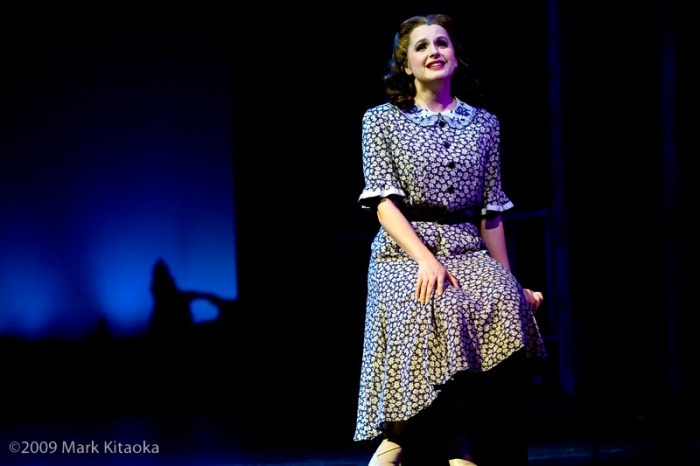 "The cast is anchored by Melissa WolfKlain, a triple threat singer/dancer/actress, as Millie Dillmount. WolfKlain, who now is vigorously climbing the show biz ladder in Los Angeles, is a dynamic performer whose career bears watching." "The music is astounding, with a range of stage, pop and operatic influences. Newman and Allen demand a great deal from their four singers, and they all deliver... and Melissa WolfKlain [is an] extremely good singer." "WolfKlain proved to have good sustain and pitch, with a pleasant vibrato and some soaring high notes." 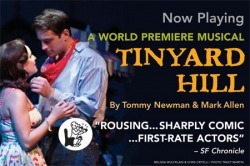 "Heading up the stunning cast are Steve Perez as Bobby and Melissa WolfKlain as Polly, and both deserve a double thumbs-up here. Few could rival her moving rendition of 'Someone To Watch Over Me' and 'Embraceable You,' two timeless songs that thrive in the hearts of many. WolfKlain is completely spellbinding in her totality of portraying Polly." 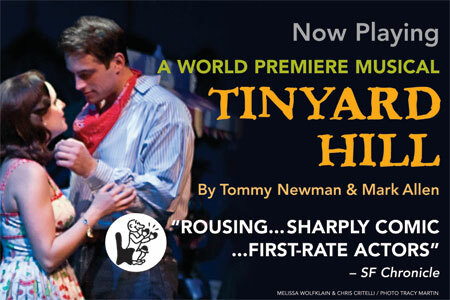 "...some powerfully talented performers headed by sassy-but-sweet Melissa WolfKlain as the romantic lead, Polly Baker." 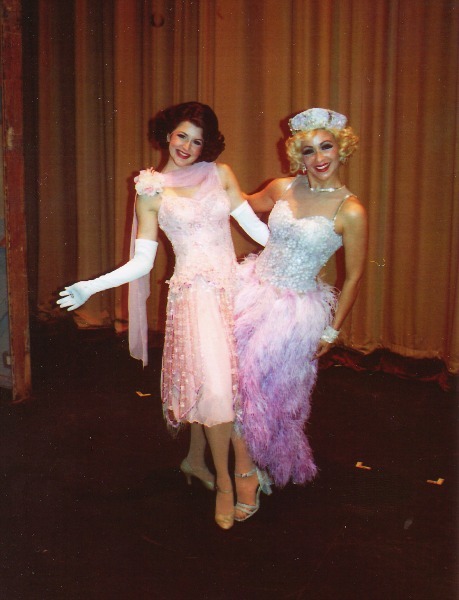 "As the younger stars, we find two leads whose prodigious credits and performing chops greatly belie their youthful appearance...At the story's center, Melissa WolfKlain brings to life sweet Peggy [Sawyer] from Allentown, who can out-dance an army of hoofers, sing quite pleasingly and win all our hearts with disarming warm hopefulness." "Light-footed dancer Melissa WolfKlain almost steals the evening as aspiring ingenue Kathy Selden." "As [Peter] Pan, WolfKlain has a solid, belting voice that is brightly focused on 'Neverland' and 'I Gotta Crow.' The role of Pan is both physically and vocally demanding, all too often at the same dramatic moment. WolfKlain is up to it, swaggering as cocksure as any 10-year old boy." "Melissa WolfKlain [as Peter Pan] is someone to watch with her strong stage presence and polished musical-theatre voice." 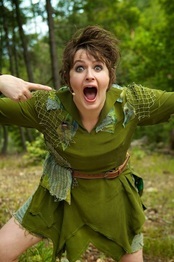 "Melissa WolfKlain is exhilerating in the role of Peter Pan. She is astounding with her athletic flying over the stage, throwing pixie dust about the place. She swaggers about like a young braggadocio. She posesses a great theater voice also." "Melissa WolfKlain's Babe stole the show. Babe walks a fine line between lunacy and sanity, and WolfKlain kept those is perfect balance. For the audience to be sympathetic to a character who commits adultery and attempted murder, there must be an innocence and pure heart. WolfKlain conveyed that like a pro." 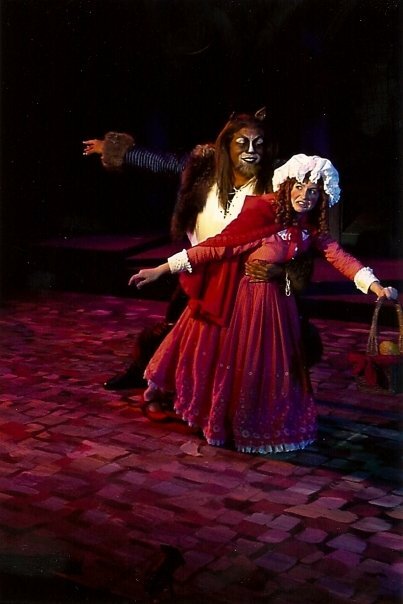 "Melissa WolfKlain as Little Red Riding Hood in Arizona Repertory Theatre's Into the Woods stole the scene every time she took the stage...[she] was all perky innocence full of sly humor."